Established in 1893 and published by the Università Cattolica del Sacro Cuore, it has for a long time been involved in the field of social sciences and in particular economics. 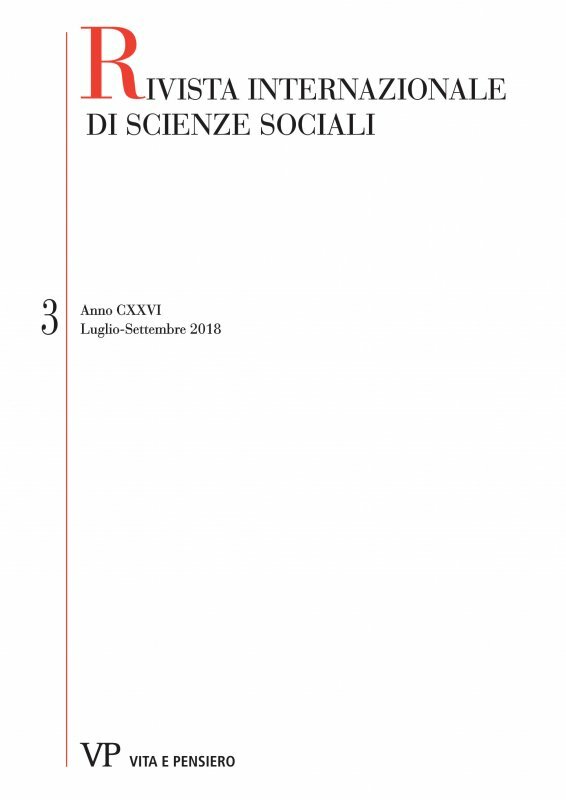 Through the publication of different scientific works by Italian and foreign authors, it aims to provide readers with an extensive insight into all the different areas of economics, as well as scientific debates taking place in Italy and abroad. Reflexivity Theory rejects the basic assumption of the classical theory that financial markets totally and instantaneously absorb the information flow expressing an equilibrium price for each asset class. In this study we empirically investigate the presence of Reflexivity among Volatility Indices, Equity Indices and other economic and financial indicators, such as the US Economic Policy Uncertainty Index. We introduce a multi-step statistical model able to recognize stressed market periods and identify breakout points and short-term trend and reversal signals. We also investigate reverse causality and the response of our model to volatility shocks. Our conclusions are oriented towards a confirmation of Reflexivity Theory in the historical time series of listed Volatility Indices. Motherhood is often associated with reduced labour market prospects. However, any ‘motherhood penalty’ may reflect selection effects as well as direct causal effects of having children. We extend the discussion to look at how intentions towards future fertility – and whether they are realised – affect labour market chances for women (employment participation opportunities and wages). We examine high quality UK longitudinal micro-data from the British Household Panel Survey covering eighteen years (1991-2009), using Heckman selection models with full maximum likelihood. We find that expectations toward fertility, in addition to actual fertility, affect the prospects of remaining in paid work. Plans concerning children, and their outcomes, affect the labour market chances of women and this might be due both to inequality taking place within the home and in the workplace. Analysis of expected fertility provides some insights into whether having children is itself the causal factor in labour market prospects of women. Despite the increasing number of studies on corporate governance, the study of what is understood as ‘‘good’’ corporate governance and how this ‘‘quality’’ is measured has not been extensively approached; thus, what constitutes good corporate governance remains unsolved. To examine the substance of corporate governance quality, we undertake an interpretative analysis of this concept. We conclude that the deep meaning of corporate governance quality is anchored to the theoretical lens adopted to approach it and that agency theory represents the mainstream method employed in this task. Our results question the validity of agency-based metrics of corporate governance for the two following reasons: the endogeneity problem they embed and the agency Universalist approach that does not capture the holistic complexity of corporate governance at a firm level. To tackle such limitations, we propose the behavioural approach to fully capture the substance of what makes ‘good’ corporate governance and to measure it. In this time of a great crisis of liberalism, after what for decades seemed to be a triumph, Paolo Savona, with pedagogical intentions, critically reviews the theoretical and practical development of this cultural and political movement. His primary goal is to offer evidence of the objectives of liberalism at the individual and collective levels of personal and social freedom in all their possible expressions. Moreover, he emphasises how, precisely in contrast with the idea of maximum freedom of action in the economic field, a tension emerged in underprivileged people, supported by liberal theorists and politicians, to limit that freedom and to limit the concept of laissez-faire, with possible contradictory consequences. In this analysis, Savona offers evidence not only of the praxis but also of the elaboration of the leading philosophers in their opposite positions.